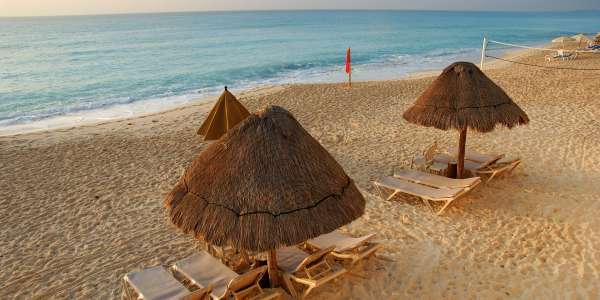 Enjoy sunshine, cool water, icy drinks, and great deals at this elegant oceanfront resort in Cancun. The Ocean Riviera Paradise offers all-ages enjoyment, themed restaurants, and more! Book now for 70% savings and free room upgrades. With only eight rooms, Casa Lucila Hotel Boutique provides guests with sweeping pacific ocean views, located just a short walk to the area's art galleries, museums, restaurants + bars, and boutique shops. A wonderful house of the s. The xviiith beautiful remodelled to captivate your senses with an experience of luxury and comfort like a travelling in the time with style and only to a few meters of the principal attractions in the city. We are an urban boutique hotel style, located in one of the trendiest and most important areas of Guadalajara. We offer 24/7 reception service, a swimming pool, restaurant, room service, fitness room, cinema room and bussines center. Enjoy great snorkeling and abundant nightlife options in Cabo San Lucas with these great Mexico vacation deals. Mexico vacation deals in Cancun let you go to where the action is for a sun-soaked getaway. These Mexico vacation deals in secluded Cozumel are ideal for a romantic getaway that won’t break the bank. Enjoy sun and fun on Mexico’s west coast when you book a Mexico vacation deal in Puerto Vallarta. Plan a stay along the Riviera Maya, just south of trendy Cancún, with these Mexico vacation deals. Looking for the perfect Mexican vacation? You can find resorts and hotels to fit your needs across the miles of beautiful beaches in Mexico. Prepare for bright sunshine, authentic cultural experiences, and indulgent pampering at the all-inclusive resorts all around the country. Cabo San Lucas resorts stretch across powdery beaches, ideally situated for exploring the shoreline or snorkeling under the waves. For a special experience, take a tour by kayak to the iconic rock formation El Arco. From the ancient Tulum Ruins in Riviera Maya to the Sierra Madre mountain range in Puerto Vallarta, there are plenty of Mexico vacation packages that include eco-adventures. Explore them all aboard a luxury cruise to Mexico, and hit the spa, nightclubs, and casinos as you cruise between the beautiful ports. Cancun all-inclusive resorts provide a front-row seat to turquoise water and white-sand beaches along with a variety of onsite restaurants, pools, and live entertainment. You can get lost in the energetic nightlife scene right between the city center and the shore. From adults-only to family friendly, five-star to boutique, and ocean view to beachfront, there’s an all-inclusive resort in Mexico that has exactly what you need. Enjoy romantic dinners, spa retreats, rounds of golf, and sightseeing adventures, right off the beach. Search our itineraries to find exclusive deals for the perfect vacation in Mexico.